The right lighting is crucial to creating a Hygge-like ambience in your home. Think soft, mood lighting and sparkly fairy lights. 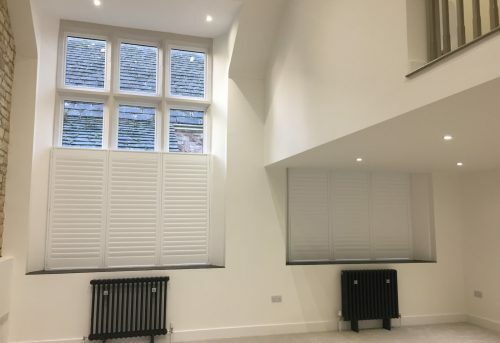 During the day, natural daylight is essential to making your home feel connected with the outside world so crack open your shutter louvres to let some light into the room. When night falls, candles and open fires are perfect for creating a feeling of Hygge. Hygge is all about feeling warm and snug, so stock up on soft textiles throughout your home. 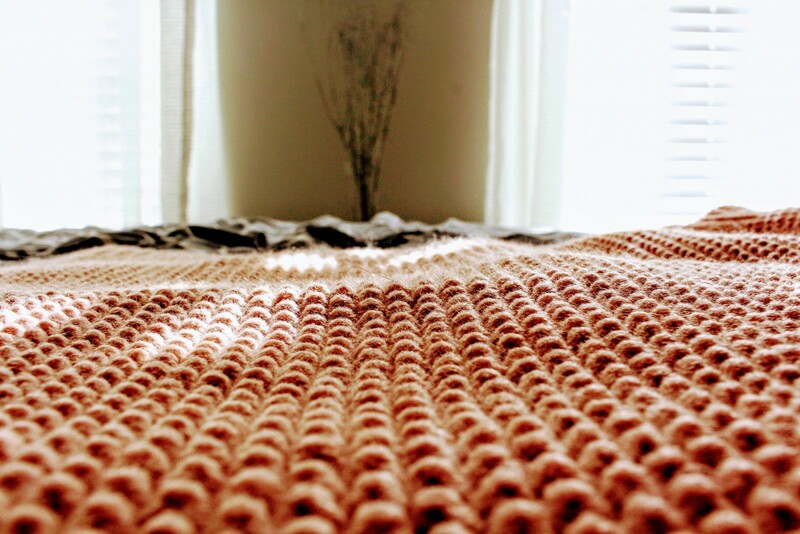 Wrap yourself in a wool blanket and sink into a big squishy cushion for ultimate cosiness. 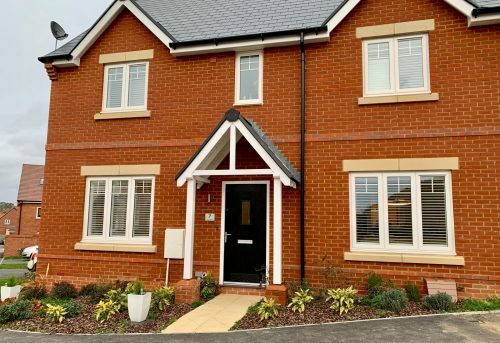 Fluffy rugs are a great way of keeping your feet warm, even on a cold day, and good insulation is essential to keeping the heat in; underfloor insulation, wooden shutters and draught excluders can all help to keep your home toasty warm. A soft and neutral colour palette is often used in a Hygge-like setting. Think chalky whites and pebble greys on the walls combined with light wood furniture and hemp coloured textiles. One of the big colour trends for the year ahead is Neutral Blush, which fits in perfectly with Hygge. Compliment the look with white or light wood plantation shutters. Natural materials are key to creating a feeling of Hygge. Choose natural fibres for your textiles and decorate the room with green foliage and ornate twigs. If you have a fire, make it the centrepiece of your Hygge theme. Plus, a large stack of wood will not only look stylish but will ensure you have a good supply for easy fire lighting throughout the winter. Hygge encourages simple living so use this as an opportunity to declutter and clear out any unnecessary belongings or untidiness. Make sure you have good storage solutions in place to keep any loose nicknacks out of sight and keep furniture simple and unfussy in design. Plantation shutters are also perfect for creating a simple and clean look in your home. 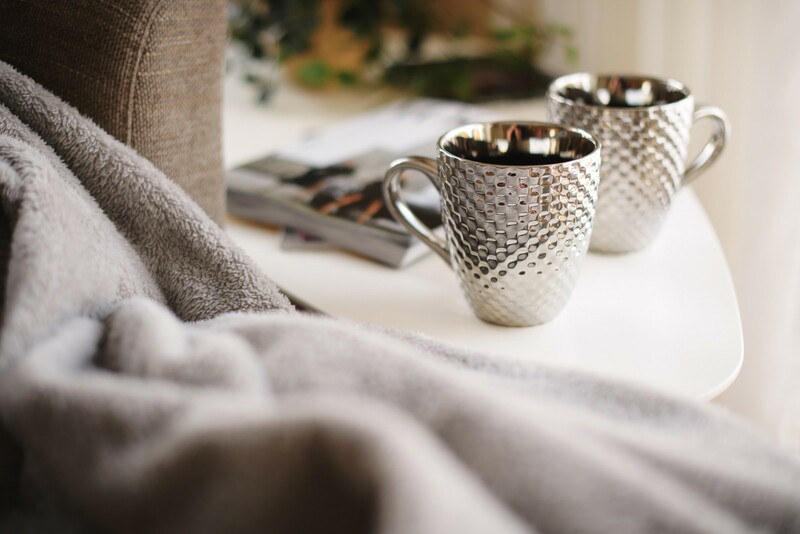 So, if the long dark days are getting you down, follow these top Hygge tips to get your home feeling warm and welcoming for a winter that is snug, cozy and bursting with good vibes and well being. 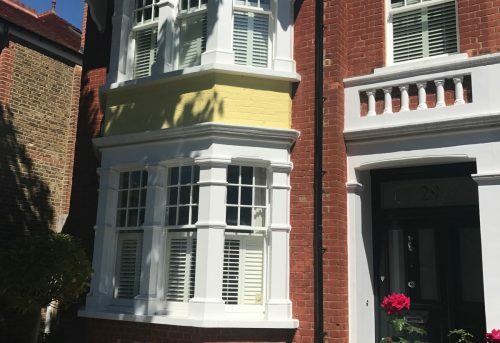 Shutters lend themselves very well to a Hygge home with their clean and simple style, good insulating properties and varied light control. 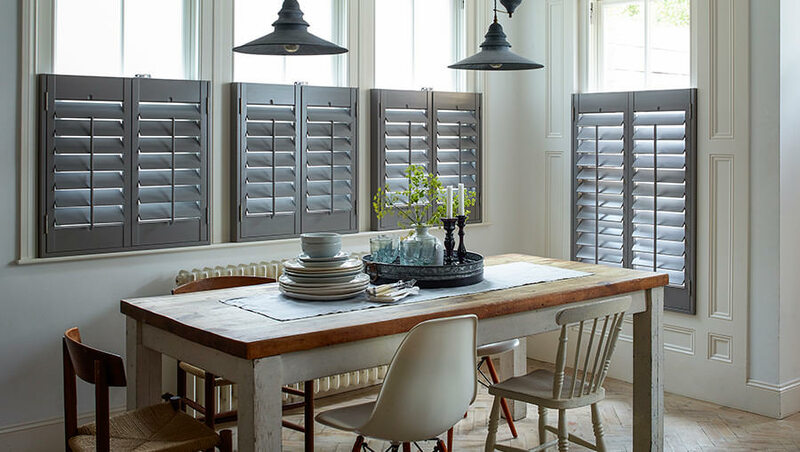 For more ideas about how shutters could help bring more Hygge to your your home, give the Shuttersouth team a call to discuss your requirements and book a free home survey. Give us a call on 02381 290130 or book a free design consultation to find out more.